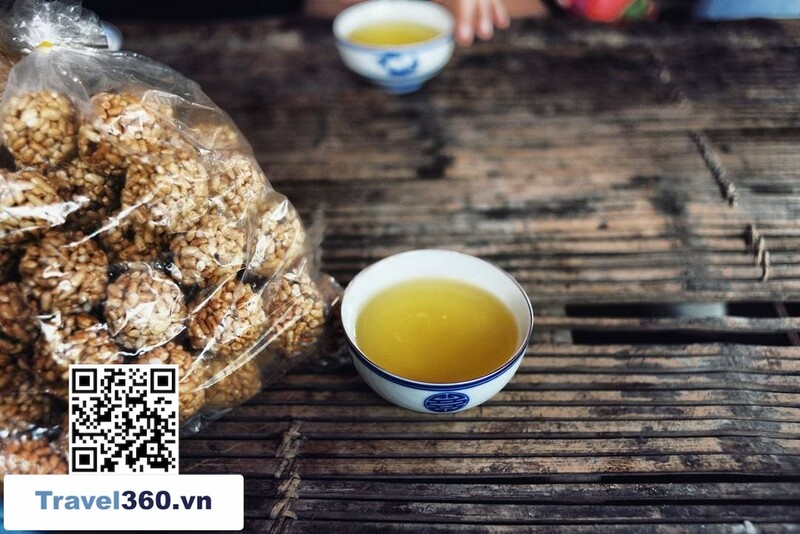 Away from the noisy, bustling city, along Highway 32 to Son Tay, tourists will come to an ancient village of Vietnamese - where also preserved the traditional culture of our people from the bag. This life. Come here, visitors will enjoy the picture of peaceful life and adventure travel to the remote past through the rare scenery in the land of Ha Thanh. The village is located 47 km west of Hanoi, 5 km from the administrative center of Son Tay town. Called the Ancient Village but it is a gathering of 5 villages of 9 villages in Duong Lam commune, Son Tay town: Mong Phu, Cam Thinh, Dong Sang, Doai Giap and Cam Lam villages with natural area of The village is about 800.25 hectares and has a population of more than 8000 people. It has been known by many names such as Vietnamese. 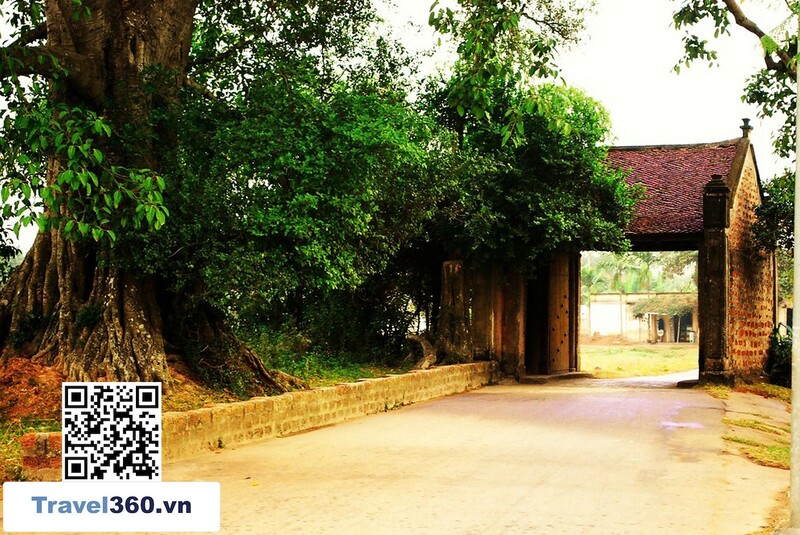 "Ancient Vietnamese Village", "Ancient Village Stone Road", or the name "incubation King". 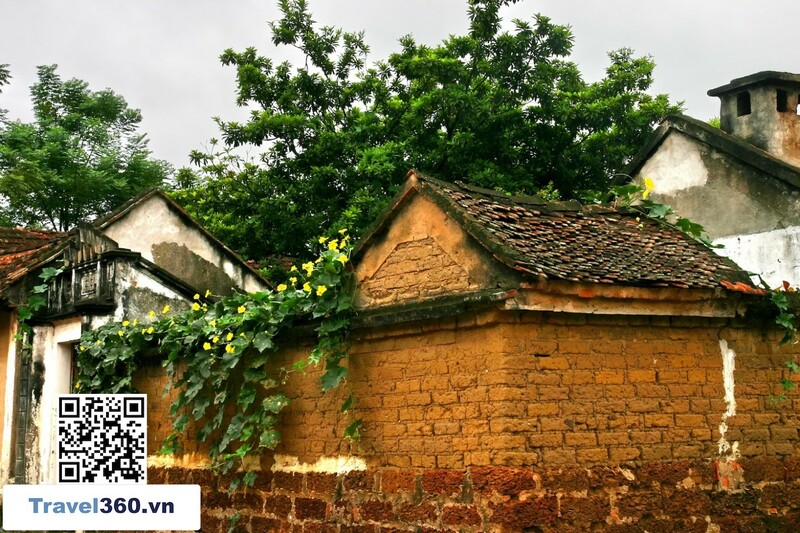 Just as many of the capital's old-time villages in particular and the whole country are integrating and merging with the industrialization and modernization flow, the ancient Vietnamese village is in a very close position. The city still retains and retains a wealth of cultural, historical and valuable treasures. It is the result of labor, creativity, wisdom and skillful hands of generations of farmers who are born, grow up and live in the countryside. White clouds. If tourists come to the ancient town of Hoi An (Quang Nam) to visit, learn the cultural values ​​typical of urban life in the 16th - 17th centuries in Dang Trong with the house, food Festival, The architecture represented the feudal business class where Hoi Pho features blends into the culture of the French, Portuguese, Chinese, The sugar bee Lam, they are reunited, admire a "living museum" about agricultural life - rural Vietnam. 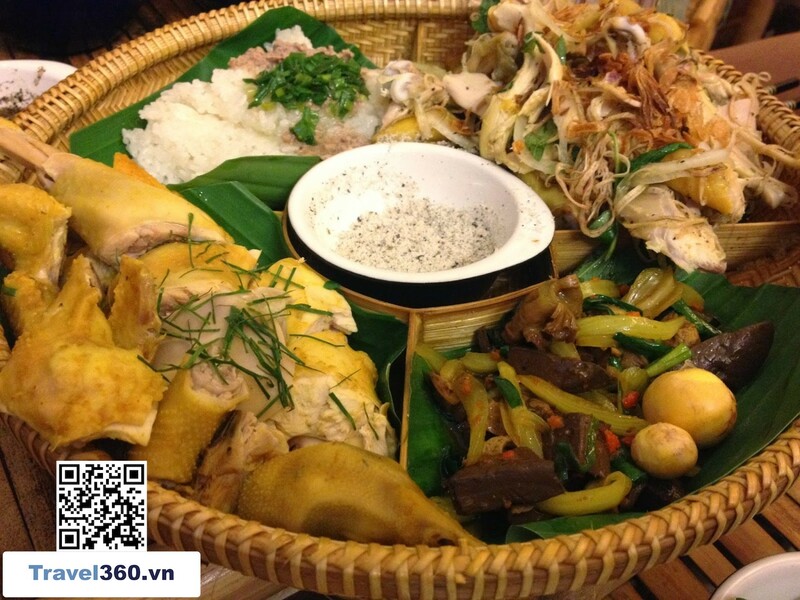 It is very typical, for the wet rice civilization, associated with two legendary rivers, namely Hong Ha and Tichiang. Almost the rich and varied "intangible cultural assets" of Vietnamese farmers are still preserved and preserved there. These are the precious cultural and non-material values. They are reunited, admire a "living museum" about agricultural life - rural Vietnam. It is very typical, for the wet rice civilization, associated with two legendary rivers, namely Hong Ha and Tichiang. Almost the rich and varied "intangible cultural assets" of Vietnamese farmers are still preserved and preserved there. These are the precious cultural and non-material values. They are reunited, admire a "living museum" about agricultural life - rural Vietnam. It is very typical, for the wet rice civilization, associated with two legendary rivers, namely Hong Ha and Tichiang. Almost the rich and varied "intangible cultural assets" of Vietnamese farmers are still preserved and preserved there. These are the precious cultural and non-material values. Mong Cai family, Giang Van Minh church, Mia pagoda, Cam Thinh communal house, Doai Giap family house, Phung Hung family house, Ngo Quyen temple, Ngoi Mia temple, O temple churches, restaurants, wharves, shrines, wells. These types of monuments are present in all villages of the ancient village. 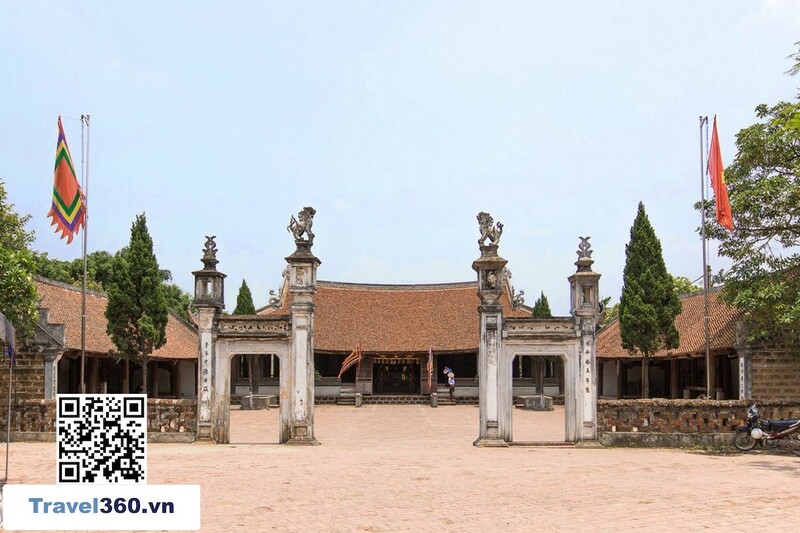 - Mong Phu Gate is an ancient port and relatively intact in the northern delta. Sitting by the lake, along with the old banyan tree, the gate turns southeast. It has become a very familiar place, close to generations of people in the village. In the old days, with the bamboo shoots outside the edge, two lim limples will be closed at night will ensure the safety and peace of the village. At that time, everyone complied with the rule "internal non-export, foreign non-entry". - Mong Phu is located in the high position, in the middle of the village. The name Mong Phu is attached to the hometown of the Confucian scholar of ancient China. The idea of ​​people who are new to this village is the small countryside will expand, radiate the path of learning to follow the example of Confucius. 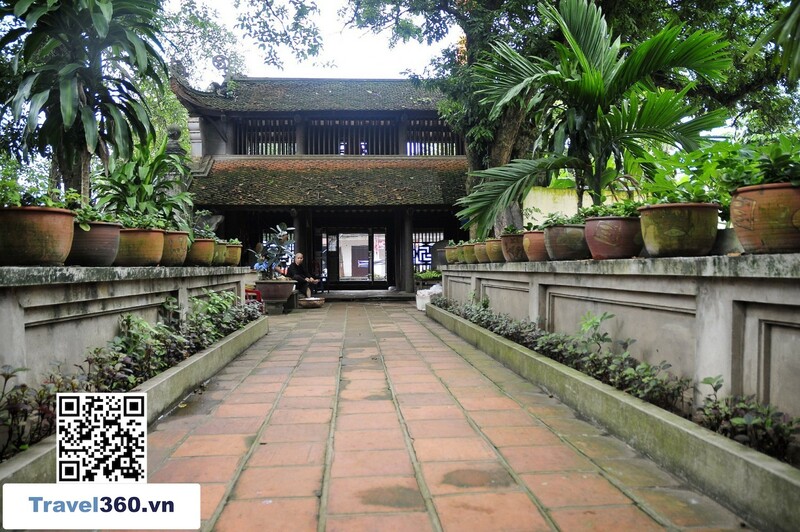 The house has a unique architecture, very typical of the surviving antiquities in Vietnam such as art touches, family orientation, ironwood limb, two wells. Sacred to the Holy Virgin Vien Son - a person is ranked in the first virtue in the four immortals of the Vietnamese. It is not wrong when ancient people have thunder sentence "Southern Bridge, North Pagoda, Family Doai". The house in Doai is very famous, besides Mong Phu, there are Tay Dang, Chu Quyen, Thuy Phieu (Ba Vi), Tuong Phieu (Phuc Tho). - Giang Van Minh Detective Church - where the virtue, the spirit of sacrifice for the country of the chancellor while on duty in China during the reign of King Sung Trinh (Ming) with skillful and tactful response 17th century steel. - Mia Pagoda is also called Sung Nghiem Tu, located on the high land of Dong Sang. This is a very ancient Vietnamese temple. The temple also preserves a system of Buddha statues that are rich, varied and extremely precious, including 287 pho and many valuable relics. Mui pagoda with Phu temple, Vien pagoda, Ha Tan ferry, Mia market, Dong Sang village gate, Phu canal, are works associated with the great merits of Ngoc Dong (Ngoc Dao) - a son of hometown and the concubine of Thanh Do Vuong Trinh Trang. Come to the Mia pagoda to be in harmony with the sacred, unhappy, high bar where the Buddha with the very thrilling statues of the Buddha through the years of hard training, sincere to the day of success. Everyone can feel the teachings, right at the Buddha. In addition, the works also confirmed invaluable value in art, sculpture. - Leave the Ham Nghiem, go to Cam Lam hamlet through a small bridge across the Tich river. It was the birthplace of two heroes that radiated from the river of the country, namely the Boi Dai Vuong - Phung Hung (8th century) and Ngo Van Vuong - Ngo Quyen (10th century). There are also many other relics such as: churches, backgrouds, bars, prostitutes, wells around the village. It is associated with traditional festivals - the day when all the children of their homeland, even in the distant places, try to put all their work in order. It is pride and sacred to be back to where "buried vegetables cut off", are lightly compressed incense, leaning respectfully to the gods, holy ancestors. If you go by bus, you catch bus line 71 (My Dinh bus station), car 70 (Kim Ma), line 77 (Ha Dong), then take the motorbike taxi to the Ancient Village. + From Ha Noi - Follow Thang Long Avenue, turn right at Hoa Lac crossroad - Go through Son Loc street 21 - continue to follow signs on the road from intersection of road 32. + Or you go along 32 road to Son Tay town - on the 21st street there is a intersection 4 intersection on the left hand side will see the gate village of Lam Duong. Can move by car online My Dinh - Phu Tho, travel time is 1 hour 15 minutes. Or take a Shanxi taxi, contact: (04) 33626262. When arriving at Lam Street, the locations are quite close to each other, so you can park your car for a walk or rent a bicycle to explore the village. Traditional candies: Peanut candies, candy, sesame candy are made with ingredients such as peanuts, sugar, malt, sesame, rice flour. Sausage: This product in winter will be delicious and attractive. Water Pudding: The yellow rice cake is the color of the ripe fruit that is dried and filtered by the local people, the cake is made of green beans, the surface is sprinkled with little white sesame, this cake is cooked with autoclave. Sugar cane: delicious chicken, delicious taste, not like industrial chicken is not too tough as chicken, chicken skin and fat fast eating crispy chicken (chicken). Comparative Son: Tram homework in Lam has since ancient times and each house has a few jars in the sun. Have a sense of responsibility of the individual with the relic area. For easy access to Lam Street, you should walk or rent a bike to go to every corner of the village. If you ride a motorbike to every attraction you have to send a car and spend a lot of deposit, in fact there are some points not recorded car but someone to collect money. At some attractions there will be management board members presenting attractions for you, can tip money. If you want to use the lunch service, homestay should be contacted before going out, because often these families when they put their new start to cook. When visiting the ancient houses in the village, you should ask politely permission they will enthusiastically welcome you. If you want to buy gifts for relatives, you can buy right in these families.